The BNA is delighted to be working with The Physiological Society as Festival Partner for BNA2017. As well as supporting the meeting as a whole, TPS is convening a strand running through the Festival: 'The neurobiology of stress: A Physiological Society Topic Meeting', as part of their theme year Making Sense of Stress. See the main programme pages to see how the 'Neurobiology of Stress' plenary lecture and four symposia fit into the full Festival programme. Alon Chen received a PhD from the Weizmann Institute of Science in the Department of Neurobiology, in 2001. Between 2001 and 2005, he served as a Research Associate in the Laboratories for Peptide Biology, at the Salk Institute for Biological Studies, La Jolla, California. 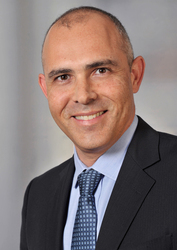 In 2005, he joined the Weizmann Institute as Assistant Professor in the Department of Neurobiology. In 2013 he was nominated as Director and Scientific Member at the Max Planck Institute of Psychiatry and as the Head of the Max Planck Society-Weizmann Institute of Science Laboratory for Experimental Neuropsychiatry and Behavioral Neurogenetics. Prof. Chen’s research focuses on the Neurobiology of Stress, particularly the mechanisms by which the brain is regulating the response to stressful challenges and how this response is linked to psychiatric disorders. His lab has made discoveries linking the action of specific stress-related genes with anxiety, depression, weight regulation and diabetes. Prof. Chen and his research team use both mouse genetic models and human patients to ultimately create the scientific groundwork for therapeutic interventions to treat stress-related emotional disorders such as anxiety, post-traumatic stress, eating disorders, and depression. Stress disorders are associated with an elevated risk of a range of different cardiovascular events, including stroke, coronary heart disease, heart failure, and cardiovascular death. There is a need for animal research to understand the mechanisms involved in these events and to increase therapeutic approaches. In this context, Carlos C. Crestani (Brazil) will give an example of acute stress cardiovascular alteration, with a focus of corticotropin-releasing factor implication in the bed nucleus. Cardiorespiratory function in stress states, such as epilepsy, hypertension and sleep apnoea seems also to be linked to PACAP and microglia in the brainstem and spinal cord (Paul M Pilowsky, Australia). Chronic stress induces anxiety, and alteration of the autonomic system is associated to a neural circuit involving serotonin in the brainstem (Caroline Sévoz-Couche, France). Finally, Luca Carnevali (Italy) will talk about potential cardioprotective effects of a pharmacological approach that targets the endocannabinoid system in rats with high-anxiety behaviour. Stress is a major risk factor for mood disorders which are accompanied by altered emotional functioning. Until the establishment of functional magnetic resonance imaging (fMRI), first in humans and more recently in rodents, it was extremely difficult to determine the nature of the altered processing within brain networks that underpin dysfunctional emotional behaviour. This symposium will describe the neural correlates of emotion and the consequences of stress upon the emotional circuitry. The advancement of animal imaging techniques described in this symposium allows assessment of 'biomarkers of network functionality' using directly translatable paradigms hence facilitating translation of potential novel therapies from preclinical rodent studies to man. The opening presentation outlines recent studies delineating the relationship between emotional processing in people suffering from depression, those at risk of depression and controls. This theme is then enlarged to consider the effects of stress on emotional behaviour and activity of brain emotional networks in both humans and rats models. The third speaker, Craig Ferris, is the pioneer of awake rat fMRI who will be discussing the effects of stress hormones and neuropeptides on emotional states and the consequent changes in activity of emotional neurocircuitry. Awake fMRI allows use of directly translatable tasks, paralleling those used in the human studies. Hence, the final speaker will highlight the role of early-life stress and the neuropeptide BDNF, on emotional processing using learned emotional tasks that parallel those of the human studies. Environmental stressors have very potent effects both on synaptic function and on cognitive processes. Recently we have been able to recognise how both stressful events and glucocorticoid hormones can modify glutamate receptor function and synaptic plasticity, while novel molecular studies have begun to show how both genomic and non-genomic responses can modify synaptic chemistry and structure. This symposium goes from the most basic dynamic control of glucocorticoid responsive genes ( Dr Conway-Campbell) through glutamate receptor trafficking ( Dr Gary Whitehead) and into mental illness Dr Joung-Hun Kim and finally into aspect of brain ageing. Even before it is born, the conditions an animal experiences can have a significant impact on later life. Several studies have shown that detrimental developmental conditions can have long lasting effects on a range of important phenotypic traits and the main candidate mechanism is activation of the HPA axis and increased exposure to glucocorticoid hormones. This neuroendocrine response to stress has the power to program a wide range of traits, from behavioural to neural and there is now a consensus of just how important proper regulation of the HPA axis is in mediating health and well-being in humans and other animals. Here we showcase the cutting edge of the research currently underway in this field of glucocorticoid programming, focussing on integrating information from behavioural data (cognitive abilities), neuroendocrine responses (HPA axis regulation and the effects on behaviour), epigenetic mechanisms underlying gene expression changes in the brain (specifically changes to DNA methylation of specific genes involved in stress responses) and the potential for programming of resilience to stress. We present data from a range of animal models and will take a comparative approach to understanding the pervasive effects of early life adversity. There is also a Theme under which poster abstracts on the Neurobiology of Stress can be submitted.